F.A.I.T.H. - Randi Shapiro - F.A.I.T.H. Randi Shapiro is the President of Recruiting Specialists, Inc., a national boutique recruitment and staffing firm based in Atlanta, Georgia. 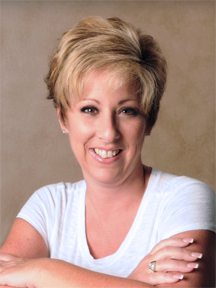 Randi founded the company in 2002 and possesses over two decades worth of recruiting industry experience. She prides herself on delivering top talent to small, medium, and Fortune 500 companies in Marketing, Advertising, HR, Office Management and Executive Support, as well as Executive search. Prior to founding Recruiting Specialists, Randi spent 15 years as an accomplished recruiter and business development professional with her late mother’s successful and greatly respected search firm in Atlanta. Randi is not only an entrepreneur and recruiter, she is also a tenacious and determined relationship builder and motivator, a coach for her candidates, valued counsel to her clients, and everyone's unabashed "cheerleader." Her clients and candidates describe Randi as a passionate pro who truly enjoys and thrives on the relationships she has developed over the years with all of the talented people she has encountered. While Randi lives and breathes to work and provide service to others, she also enjoys a strong cup of coffee, old movies, shopping, sunshine, and spending time in the kitchen. She has been married for 28 years to the love of her life, longtime Atlanta sports radio talk show host Mitch Evans of 92.9 The Game. They live in Woodstock, Georgia with their favorite four-legged friend, Lillie the Cat.